Dr. Mary Elizabeth Lester, MD has been welcomed as “Best in Medicine” by the American Health Council for her vital contributions to healthcare over the last 18 years. Dr. Mary Lester is a highly skilled medical professional with certification from the American Board of Plastic Surgery. Following completion of her medical degree with Emory University, Dr. Lester took residency in general surgery with Emory University. 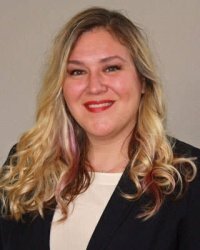 Adding to her list of professional accomplishments, she completed two fellowships in micro-surgical breast reconstruction and plastic surgery at the Medical University of South Carolina. For the last 7 years, Dr. Lester has dedicated herself to filling the role of assistant professor with Indiana University Health. 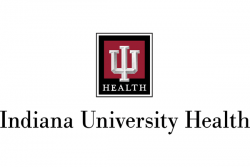 Established in 1997, Indiana University Health is the largest and most comprehensive healthcare provider in the state of Indiana – a leader in providing quality health care with commitments to medical innovation and patient satisfaction. In her position, Dr. Lester teaches and mentors a total of 18 residents and runs weekly conferences to supplement their learning. In addition to educating her students, she holds an array of clinical responsibilities. When asked to identify her reasons for joining the medical profession, Dr. Lester refers to her mother. She witnessed how her mother’s life improved following reconstructive surgery, which was performed after her battle with breast cancer. Inspired by her mother’s strength, Dr. Lester made the decision to become a doctor. She attributes her success to her mentor, a family physician, who encouraged her to thoroughly listen to her patients. Recognized for her expert capabilities as a plastic surgeon, Dr. Lester has also proven her ability as an exceptional teacher, having been presented with the Emory Teaching Award in 2005. Another notable achievement is her attainment of a place on the Health Grades Honor Roll. Her professional associations include: The American Medical Association, the American College of Surgery, the American Society of Plastic Surgeons, the Ohio Valley Society of Plastic Surgeons, as well as the American Society of Reconstructive Microsurgery. In the next 5 years, Dr. Lester aspires to establish a database and to continue to put a process in place for her students and residents to learn microsurgery. When she is not working with her patients and students, Dr. Lester cherishes spending time with her family. Established in 1997, the Indiana University Health family has grown to include an expanding network of partner hospitals across the state of Indiana. With several well-respected Centers of Excellence and a strong partnership with the Indiana University School of Medicine, IU Health is a leader in health care quality, medical innovation and patient satisfaction.